For various press contributions, please see a selection of articles below. When it comes to relationships, a lot of us want different things - some people happily admit they’re needy and want constant attention, whereas others feel claustrophobic if they’re not given space to breathe. It turns out there are actually three different types of people when it comes to attachment - anxious, secure and avoidant - and this is one of the first things I learnt in a recent one-on-one dating coaching session with Dating & Relationship Psychologist Madeleine Mason of PassionSmiths. I’m in the Apple Store, praying to Steve Jobs that my laptop can’t be fixed. Because the last image on my screen as it died was an obscene selfie sent by a beautiful young man. And the last thing I need is it popping up in front of an IT guy. Please don’t judge me. This is what happens to your inbox when you start to date younger men in the early 21st century. Because while on a bad day there’s more than a touch of Nanny McPhee about me, my 51-year-old self seems to be attracting many young bucks. And I’m not unusual. Loneliness can strike at any time. During the working week it’s easy to keep busy, but on dark evenings or long, empty Sundays, singles can find themselves feeling pangs of loneliness. It can be hard to pick yourself up when all you want is to share life with someone special. You know the saying, "It’s what’s on the inside that counts"? Well, it turns out this may be even more true than we realise. A recent study conducted by YouGov across 20 countries has discovered that the majority of people prioritise personality over looks when considering a romantic partner. 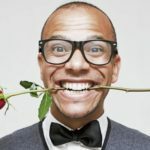 Only 14 per cent of British men and five per cent of British women polled chose good looks as their most desirable quality in a partner, while 52 per cent of both British men and women opted for a good personality as their most favourable trait. It seems that even though we all speak with different tongues, the one language we do have in common on a global scale is the language of love.